Patricia Alphin’s Bike to Work Day. 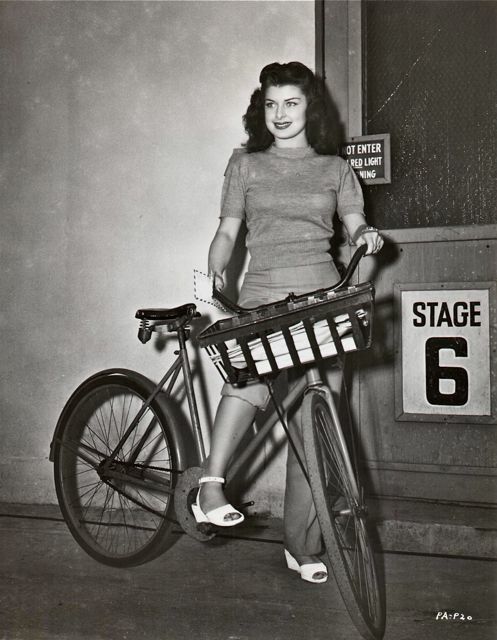 Patricia Alphin, Universal Pictures “mail girl”-turned-working thespian, delivers the studio communiques in this shot from 1946, just before she signed on to her screen debut, Idea Girl. Other titles in Alphin’s filmography: White Tie and Tails, Ma and Pa Kettle and Yes Sir, That’s My Baby. Happy Bike to Work Day!